Programs that have a one time only cost to join, use, and sell to others for that one time only cost are quite nice, especially if you get something of real value that benefits you and those you sell it to. But in order to continue making money from those programs, you need to keep making new sales. You can make splash pages quickly and easily in AIOP. I uploaded one of my own photos to use in the background, and then I copy and pasted the html code for that 600x300 banner. I could just as easily have copied and pasted the html code for any other banner or other image I wanted to use. If you click on the banner of my splash page, you can then opt in to get more information about AIOP. The company itself will email the information to those who request it, and those who join, even as free members, will be my contacts and I can connect with them and build an ongoing relationship with them. I can also make my own opt in pages and that go directly to whatever AIOP autoresponders that I set up myself. Basic membership at AIOP only costs $11.50 a month (which includes a $1.50 admin fee). That modest cost provides you with splash page making, an autoresponder, tracking, a rotator, and more. You can use those web tools to build a list and promote any business you like. As a Basic member, if others sign up to AIOP from your referral link, and then upgrade, you will get paid $10 per month for the 1st, 3rd, 5th and every odd numbered referral you get. You will also get paid $10 per month from the 2nd, 4th, 6th and every other even numbered referral from those odd numbered numbered referrals that you get. Pro membership costs $21.67 (which includes a $1.67 admin fee) and those of us who are Pro members get more web tools, and for any of our referrals who upgrade to pro membership we earn $15 monthly commissions. The commission structure is nice, but the main reason I'm a member of AIOP is because I get great benefit from using their web tools to get sign-ups and earn commissions from a variety of the programs I promote. 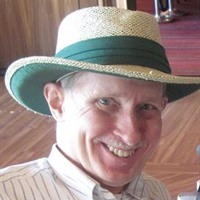 I even host my domain, LookingForProfit.com, with AIOP. 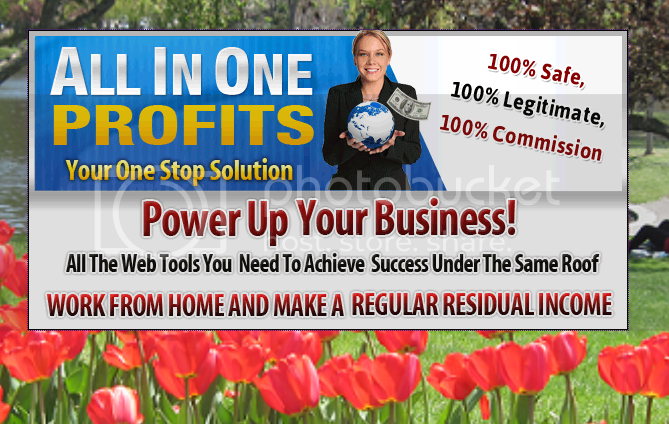 All In One Profits has all you need to start making money online by using its web tools to help you get sign-ups and sales in whatever businesses you want to promote. And it can help you make additional money from anyone you introduce to AIOP who then upgrades in it. If you want to learn more about All In One Profits, click this banner now.